Isn’t this the cutest header (that’s blog-speak for the banner image at the top of the post)? I bet you are wondering where I got it? Right? Are you? Are you?? Once upon a time in the last six months or so I stumbled upon a very funny blog called I Miss You When I Blink. This blog really made me laugh, particularly the riffs on fashion catalogues. After reading a few posts, I learned that the author, Mary Laura Philpott, was also spearheading a “laid-back literary journal” for Parnassus Books, an independent book store in Nashville that happens to be co-owned by one of my very favorite authors, Ann Patchett. What are the chances? So of course I subscribed to Musings and have recommended it to my literary- minded friends. I encourage you to do the same. Recently I commented on ML’s blog (fyi- people DO comment on blogs sometimes- usually nice things) and told her how much I loved her books header, and asked if I could use it on my own blog. She immediately responded that it was her own illustration and she offered to make me one of my very own! How nice is that? Don’t you love it when people are nicer than they have to be? I know I do. The new illustration will have a permanent place on the Books page of this blog, so please pop over and have a look. I am trying to be better about updating the page, and I think this happy little illustration will be just the ticket to my inspiration. One more thing about Mary Laura Philpott- she has a book of her own coming out soon! Really? Could she be any cooler? Check out http://www.therandompenguins.com for a taste of her book, Penguins With People Problems, which will be coming out in 2015. Hooray for penguins- especially penguins that wear bright red lip gloss and sassy wigs (only sometimes- it’s not an every day thing- because that would just be over-the-top). So your takeaway from today’s post should be to check out the fabulosity of Mary Laura Philpott. And my Books page. And Ann Patchett. And maybe leave me a comment here every once in a while. Blogging can be a lonely business- even in Paris. In fact, why don’t you leave me a comment right now, telling me the title of a great book you have read in the last three months? Thanks so much. Our operators are standing by. PS- This was a not paid endorsement of Mary Laura Philpott or any of her endeavors. She has not agreed to introduce me to Ms. Patchett or to dedicate her new book to me. But perhaps one of her penguins can go to Paris some time? I bet they can rock a beret. I have that book but haven’t read it yet. Can’t wait- know it will be hard to put down. Now get back to drawing penguins! Most of those are on my To Be Read list. I’m so glad you’re a part of my amazing life, too! Bisous! Oh, and I always love reading your blog posts. I read every single post! I think I told you privately a couple of years ago what a bright spot they were for me when Jason was in the hospital. Thankfully, I no longer “need” them, but I still enjoy them! Always happy to hear that, Sheila! Right- I think I need to read that one for September book club, right? Great Banner. When your blog appears in my inbox I read first-to-last words. Love your sense of humor and writing style. Books read or reading this summer: Sycamore Road for book club next Tuesday, Chitra’s Oleander Girl, and Louise Penny’s Gamach mysteries. Ready to begin Penny’s last one so I can read the latest when it comes out in August. Enjoyed “That Part Is True”. Also reading Sally Goldenbaum’s Seaside Harbor mysteries because the knitters meet on the same night as my group and they sip (wine) and knit, too. Did you receive my email re my English friend living in Paris? Yes, Jane, and I have been so busy with company that I haven’t had time to write her or you! Thanks so much for making the connection. And thanks for being such a loyal and enthusiastic blog reader! Hi! I read your blog all the time, but rarely comment. I really should, because I cancelled my own blog due to the infrequent comments. I felt like I was just writing into the wind (plus I didn’t know the direction I wanted to take it). Love the book header and your blog recommendations. I have so enjoyed your book recommendations too. 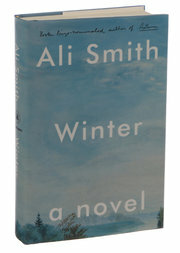 I am on the waiting list at my library for “All the Light We Cannot See,” but 3 people are ahead of me. Maybe I should break down and buy it. At someone’s suggestion (cannot remember who), I am reading “Mr. Penumbra’s 24-Hour Bookstore” by Robin Sloan. Only about 1/3 through, but really enjoying so far.